You can pre-order Xi3’s Piston, a varitable Steam Box, today! Remember that tiny little computer Xi3 had at CES this year? The Piston? Well, you can pre-order one starting today. For as low as $999 (or $899 if you order before March 18), you can buy your very own Steam Box in time for the holiday season. 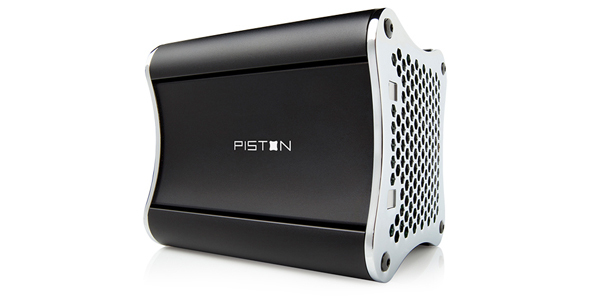 While that’s a lot to ask of customers for a product that won’t get released for at least eight months, the Piston does seem like a pretty sweet living room computer. The machine’s specifications mention an SSD drive, a quad-core AMD processor, and a Radeon 7000 series GPU. Beyond that, Xi3 isn’t giving up too many details in the way of specs. My main concern with the product, cooling, has been quelled. The Piston uses a unique cooling solution to keep everything not on fire. It may seem like a lot of money for a computer, but for $999, you can’t get a smaller computer that’ll out perform it. This is going to be a pretty sweet living room computer, and I can’t wait to see what the competition brings.